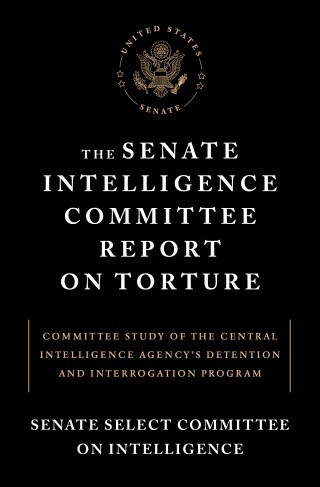 Although I am loath to use “Senate” and “intelligence” in the same sentence, nonetheless, the Senate Intelligence Committee released its report a few months ago on the use of torture after 9/11. Although I haven’t read it, much of the report apparently reveals and confirms what was already known about our torture programs, a.k.a., “enhanced interrogation techniques,” conducted by the CIA. Committee Chai rwoman Senator Dianne Feinstein, in presenting the report to the Senate on Dec. 9th, called the CIA’s actions in the aftermath of 9/11 . 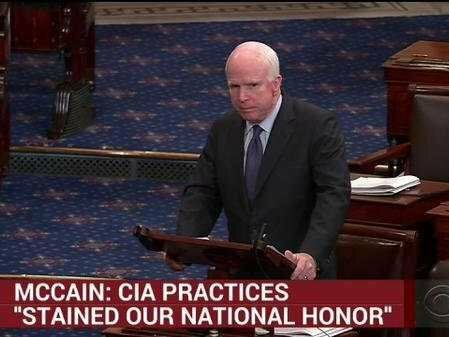 . .
Sen. Feinstein went on to name names, including presidents Bush and Obama, former CIA directors, top military brass, and lawyers who, through some labyrinthine logic, opined that torture, er, enhanced interrogation techniques, were legal. None of this, because most it was widely known anyway, should be surprising. Nor should it be surprising that those who authorized and were directly involved in these programs, meaning those who put “a stain on our values and on our history,” are not being held accountable. They argue that they were merely trying to obtain information that would either help us (a) find those behind the 9/11 attacks or (b) head off any future attacks. In 1988, the U.S. entered into a UN treaty called, “Convention against Torture and Other Cruel, Inhuman or Degrading Treatment or Punishment.” It was signed by President Reagan that year and in 1994, it was ratified by a Republican Senate. Based on the obligation in the treaty that member states establish laws consistent with the treaty’s terms, Congress, by unanimous vote, adopted the War Crimes Act of 1996. This statute defines torture and related acts consistent with the Convention. However, ten years later, the Supreme Court ruled in Hamdan v. Rumsfeld that Common Article 3 of the Geneva Conventions applied to the War on Terrorism, implying that any interrogation techniques that violated Common Article 3 constituted War Crimes. 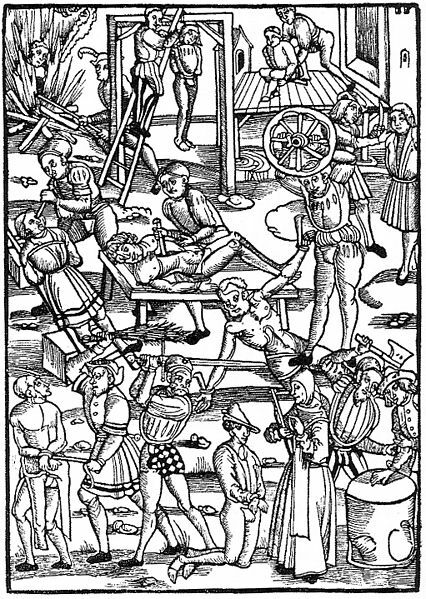 The Bush administration, apparently aware that its “enhanced interrogation techniques” were, in effect, war crimes, scrambled to water down and to make legal, that which was illegal under the treaty. Thus came the Military Commissions Act of 2006 amending the War Crimes Act. Just as we were getting out of the torture business, along come the killer drones. Although accurate figures are hard to find, most sources I consulted say that there are many innocent victims, including children, of drone attacks; collateral damage, the government calls it. A 2012 study of drone attacks by Stanford Law School and New York University’s School of Law reports that “the number of ‘high-level’ targets killed as a percentage of total casualties is extremely low — about 2%.” So, 97% are either low level targets or not targets at all. This is tantamount to water-boarding not only a suspected terrorist, but his family and his neighbors as well. Here I will just paraphrase the ending of that letter as if it were directed to president Obama and other officials who continue to outrage the American conscience in their conduct of the war against terror. This is a revised version of an Op-Ed by the Author that appeared in the Joplin Globe on December 14, 2014.